How can I securely hang a mirror on a visible chain? 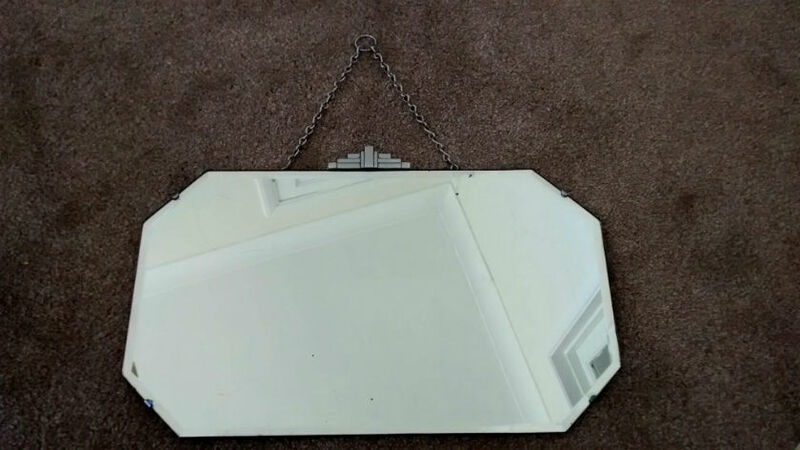 I have inherited an art deco style mirror. It is not in good condition but it has sentimental value so I would like to hang it. My internal walls are solid - plasterboard over concrete block. What fixing should I use to securely and, if possible, attractively hang it? Browse other questions tagged hanging mirror or ask your own question. What can I use to hang a frameless mirror? How to install a large mirror on drywall? How do I hang a large wall to wall mirror? How can I hang a shelf with no visible fasteners? How can I cut a large bathroom mirror?